With people opting for unique stuff for their home, designers are continuously making efforts and doing brain storming to come up with innovative ideas that will appeal the consumers in the first go. Faucets since quite some time have entered the queue of important elements of modern homes that are considered on the basis of aesthetics too along with the functionality. 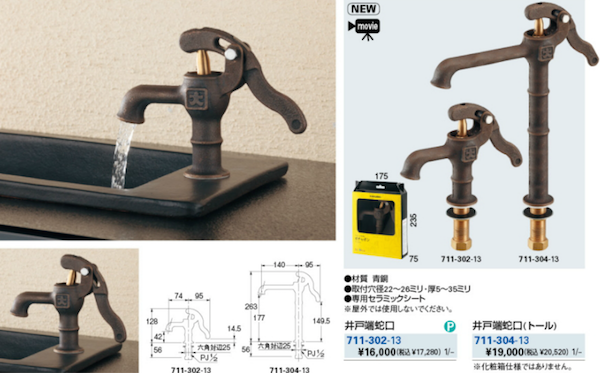 Coming direct to the point, here we are writing about the unique faucets by Osaka-based Kakudai. There are over 900 pages of sinks, faucets, pipes, valves, toilets and other water-related products that you would love checking out for miscellaneous good reasons. This is surely the brainchild of someone with a great sense of humour who else would have come up with such an idea of are a series of faucets that will make leave you stunned for a moment. Pinned below are the images of some of the really unique and cool faucet designs that we believe you all will definitely love. 1. Pictured here is a chubby faucet that is cute and assures to make the viewer smile for a while. 2. As you can see the faucets shown in the image below has a bent handle that makes it look like its bowing and welcoming you to the bathroom. 3. The upside-down faucets will pour water out of their handles. Cool, aren’t these? 5. Now these faucets that you can see in the image below are the backwards faucets appearing like it was installed by a nut job while the seemingly normal faucet on the right turn on by pushing the handle back. 6. Remember the good old water-pumping days? 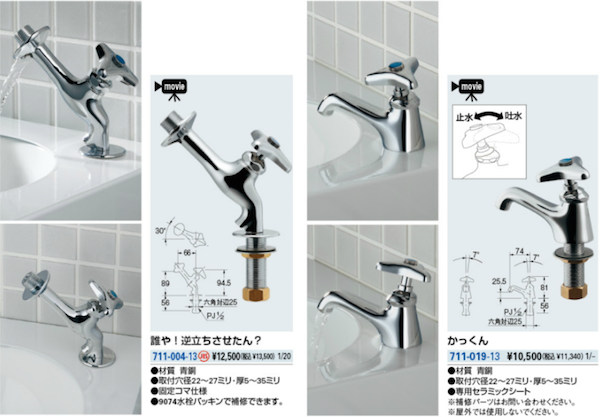 These faucets (in the image below) will make you feel nostalgic. 7. The kettle shaped faucets shown in the image below are oh so cool. Aren’t these? This collection of oh-so-cool faucets like the ones disproportionately large handle, faucet with bent handle, the backward faucet, kettle shaped faucet and the one that reminds one of water pumping days is going to rock your world. Bring home this amazing collection of unique faucets and believe me you, your family members and the guests would be seen smiling while looking at these faucets. Give that fun element to your bathroom and kitchen with these amazingly designed unique faucets.